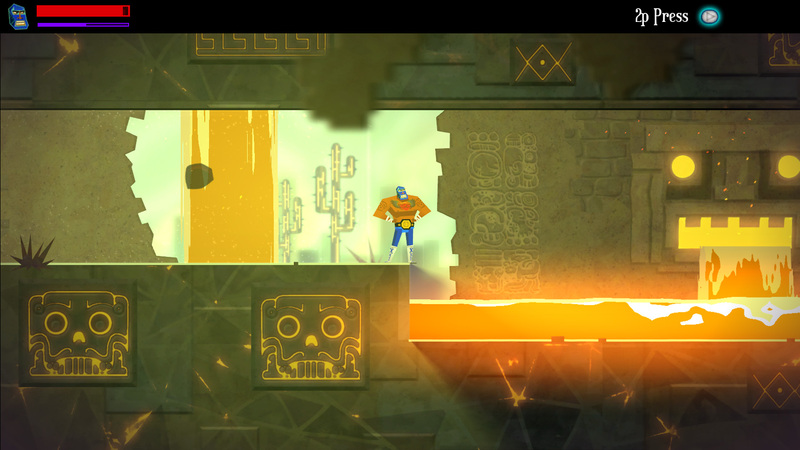 The other game, and the one we’re looking at today, is Guacamelee. Read on, won’t you? Technically the challenge was to beat 1-1 of Super Mario Bros. with the controller upside down, which I was willing to try, but due to the idiosyncrasies of the NES, it instead became the “Severely Glitched NES Challenge”. Still counts. 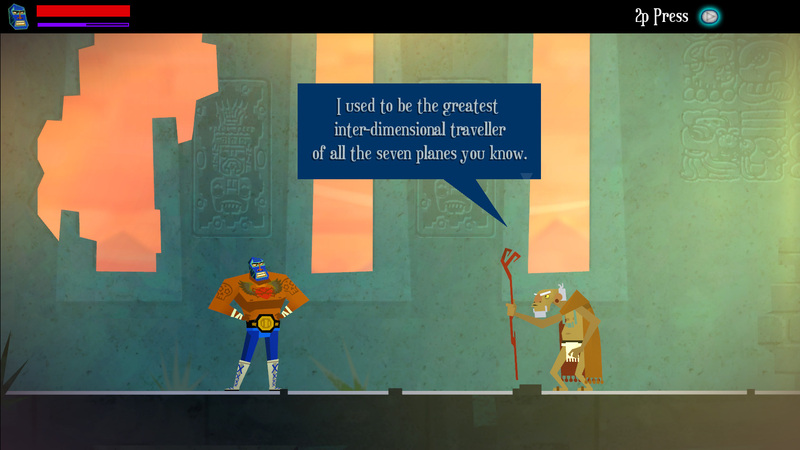 Graham Smith: Our new game, Guacamelee! 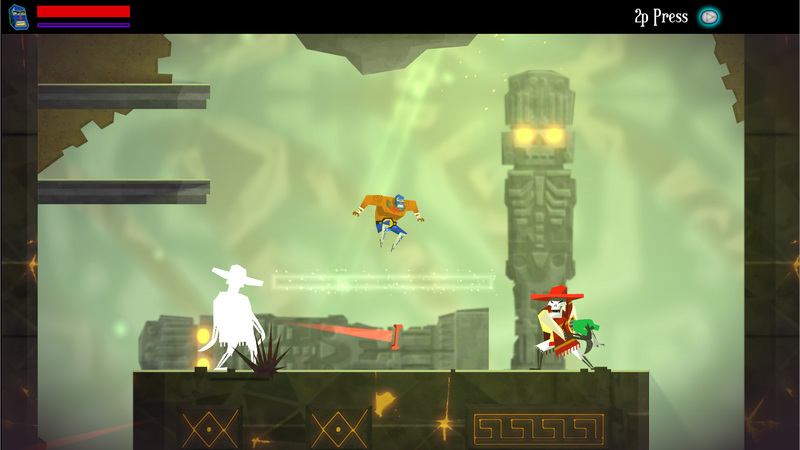 which we currently announced for PS3 and PSVita. Lava as a landscaping element. It is a lost art, I say. 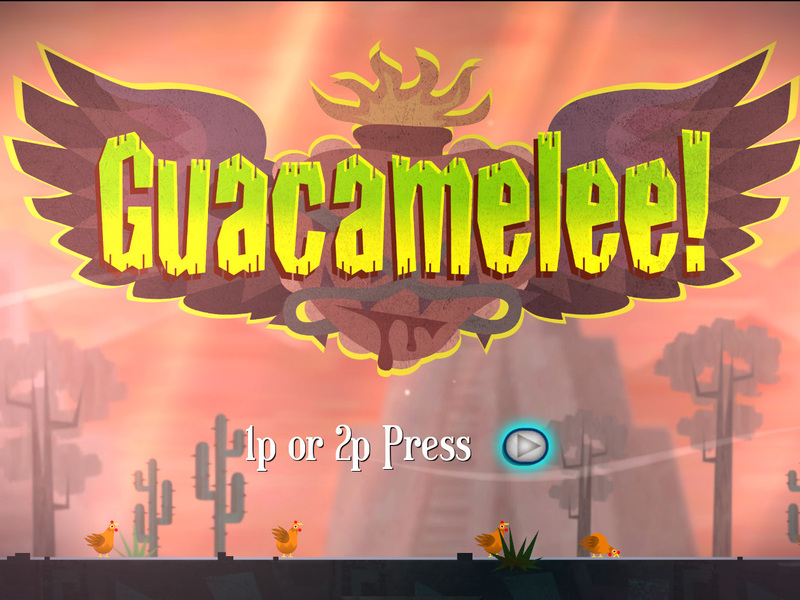 GS: The title was pitched to us by our Animator who is originally from Mexico. He came up with the idea during a period of nostalgia after being away from his homeland for a few years. GS: The game changed a lot from it’s initial pitch to it’s current form. 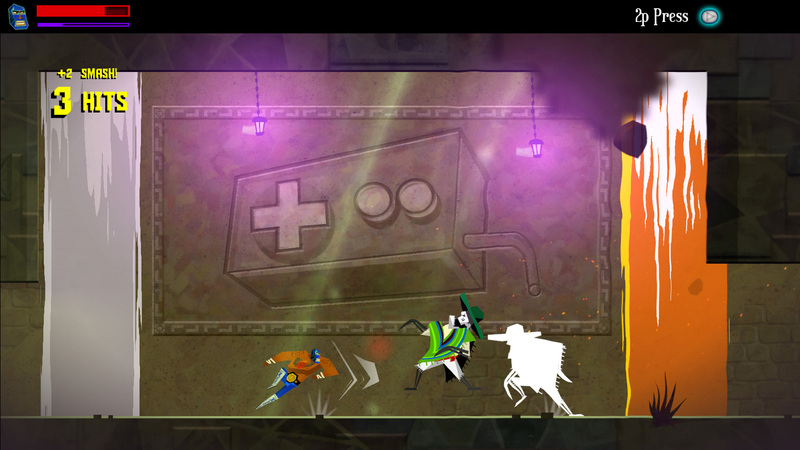 Over time, we decided to make the game a Metroidvania style brawler, with a unique dimension switching mechanic. GS: Most definitely. 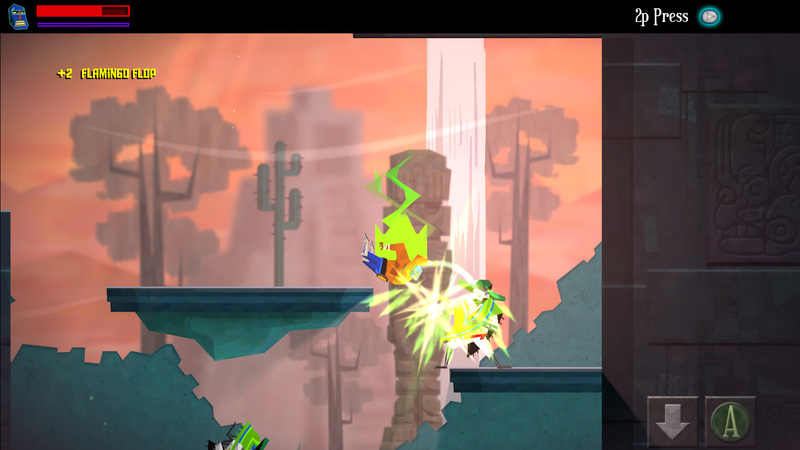 The first demo we showed to people had very different combat mechanics than the current game does. 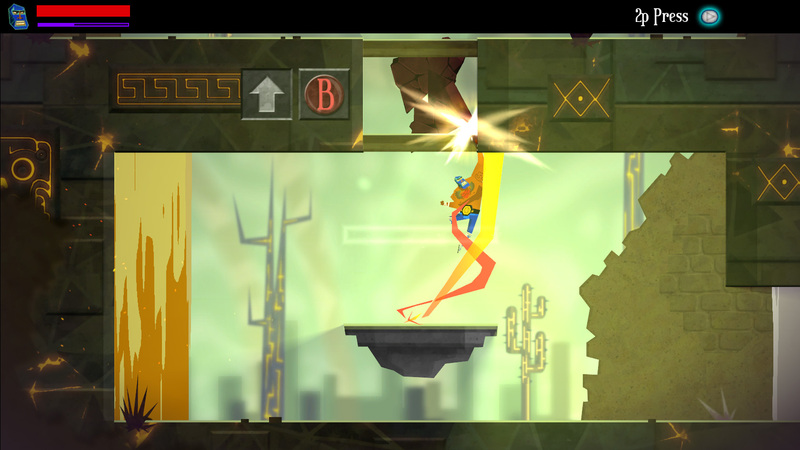 It was a much slower moving game, and we made drastic changes to the way things worked since that prototype. GS: The idea of working on a small team making unique games with a short development cycle was really appealing to me. GS: I have worked for a couple of larger companies (50 – 100 employees). The experiences at these have varied. 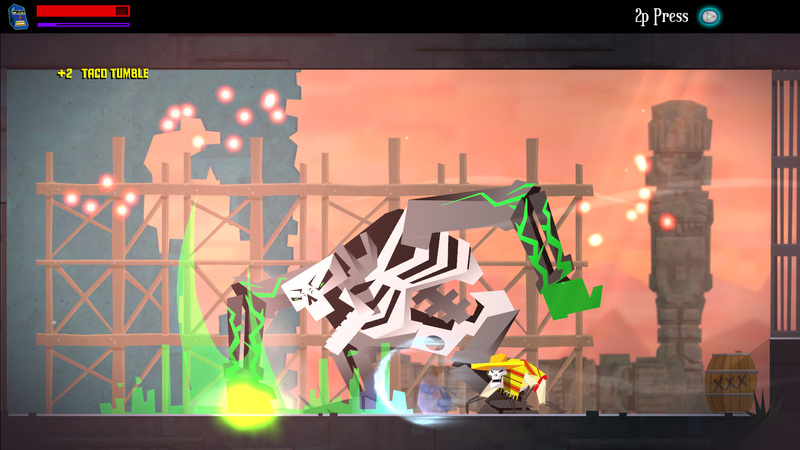 I don’t have any intention of leaving indie development right now, but I would not be opposed to going back to it if I thought the position at the company would be challenging and interesting for me. GS: Drinkbox was formed in Toronto shortly after Pseudo Interactive closed down in April 2008. The initial team was made up entirely of ex-Pseudo employees. We began by taking on contract work to build up some cash, then used that money to apply for government grants and loans to produce our first project Tales from Space: About a Blob, which was released in February 2011. Around that time Sony approached us about the possibility of doing a title for the (then unannounced) PlayStation Vita. We jumped at the opportunity, and released Tales from Space: Mutant Blobs Attack in Feb 2012, for the North American Vita launch. 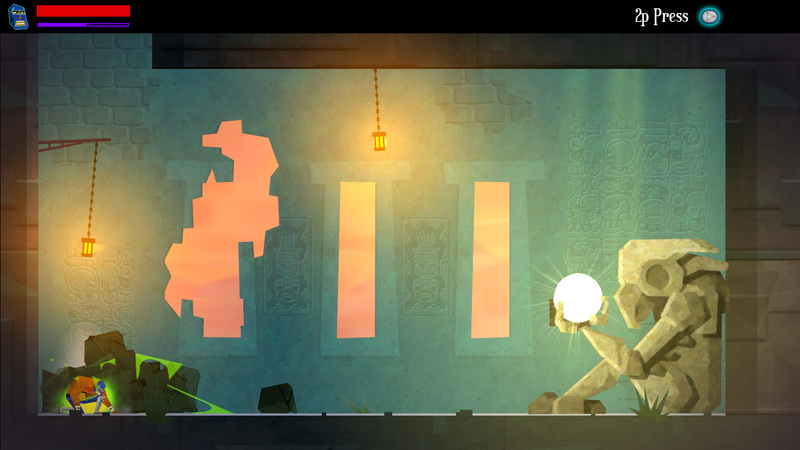 This would be the "metroid" part of "metroidvania"
Now we are working hard on our third game, Guacamelee! 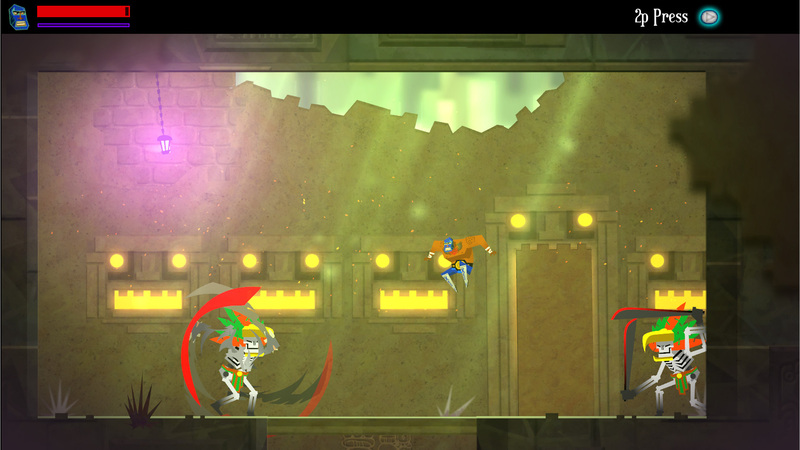 a metroidvania style brawler set in Mexico (you play as a luchador). 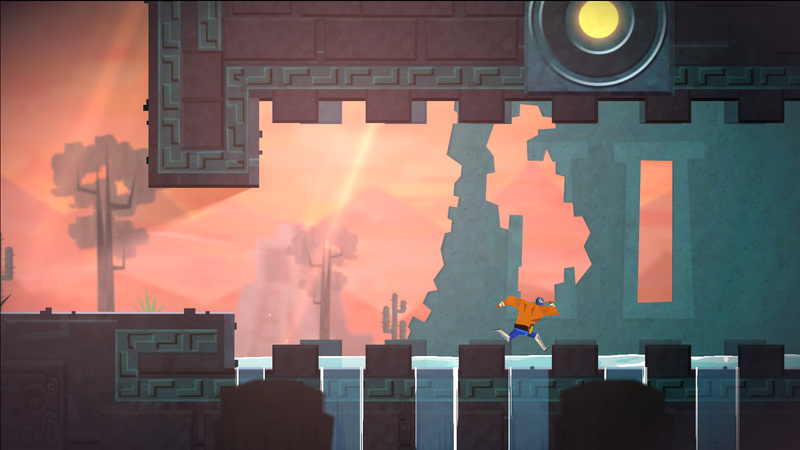 The game is scheduled to come out early 2013. That’s it for this week’s group of indies. 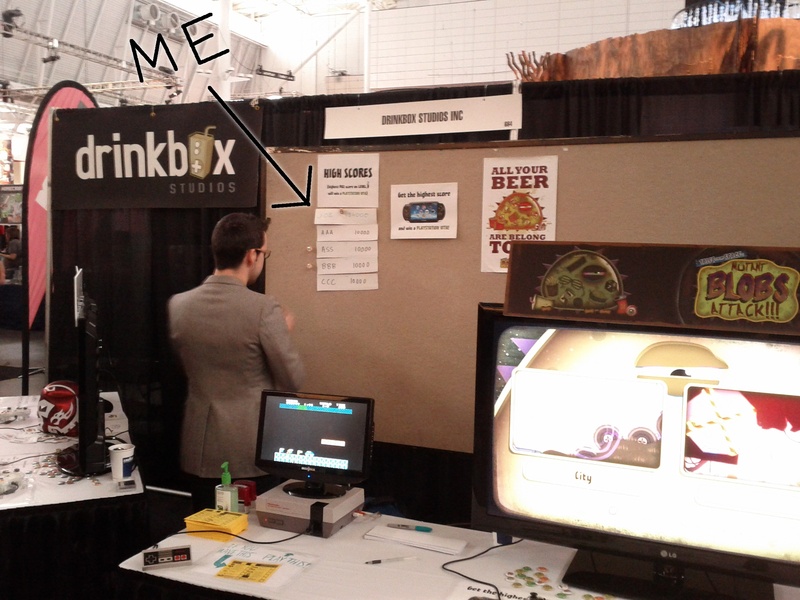 We’ll be back on Monday with another installment of the Megabooth look back. 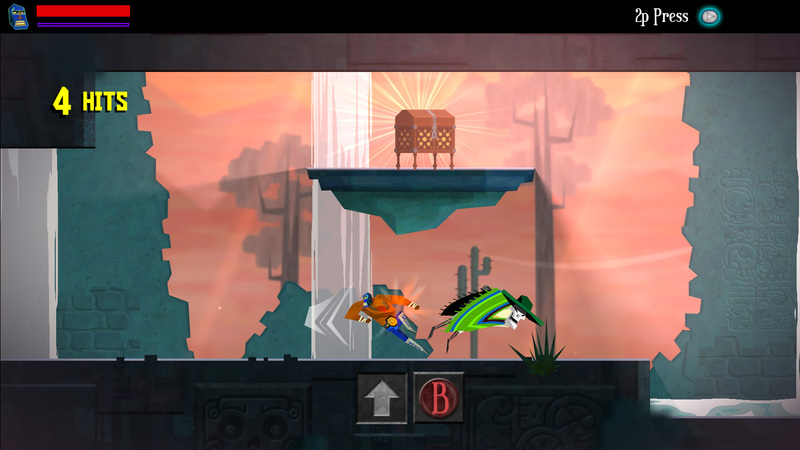 If DrinkBox and Guacamelee sound interesting to you, head on over to www.drinkboxstudios.com to find out more.